myHEALTHware Clinic User ManualsmyHEALTHware Clinic User Manual myHEALTHware Mobile AppDownload the myHEALTHware Mobile App from an App Store! 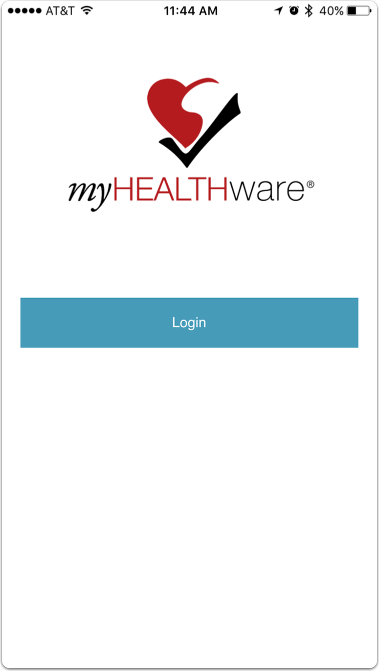 myHEALTHware Mobile allows clinics and patients to access myHEALTHware Conversations, Medical Summaries, News, and Drive files directly from their Apple or Android device using the mobile app. Download the new myHEALTHware app in the Apple or Google App stores by searching for "myHEALTHware" or by clicking on this link from your mobile device. 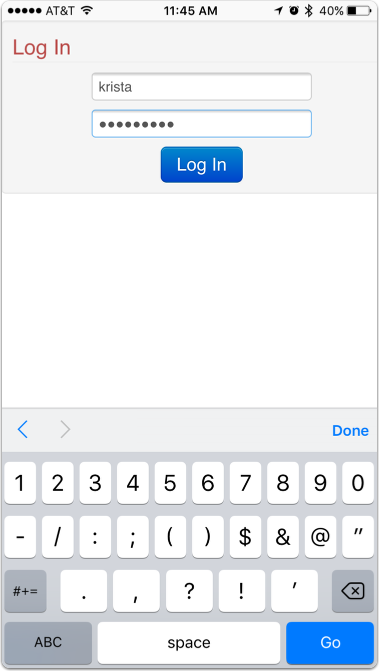 Tap the "myHEALTHware" application to log in to your account. Tap the Login button to sign in with an existing myHEALTHware account. *Note: If you do not have an existing myHEALTHware account, you can create a free account by using the myHEALTHware Setup Wizard in SOAPware. Please contact your SOAPware Administrator to request a myHEALTHware account invitation. Enter your myHEALTHware UserID and Password, then click Log In. 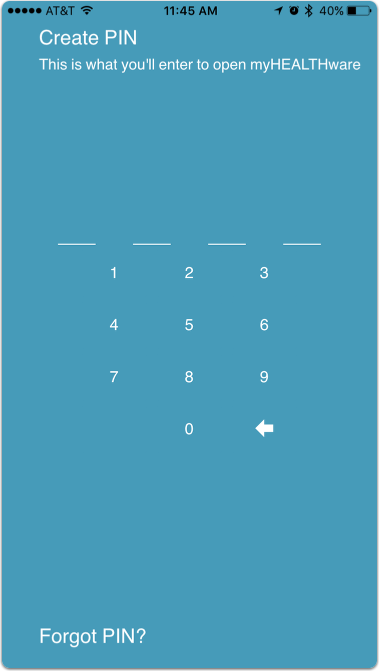 Next you will create a 4-digit security PIN. This PIN will be used each time you access the myHEALTHware app. After choosing your PIN, you will be logged in to the myHEALTHware app. 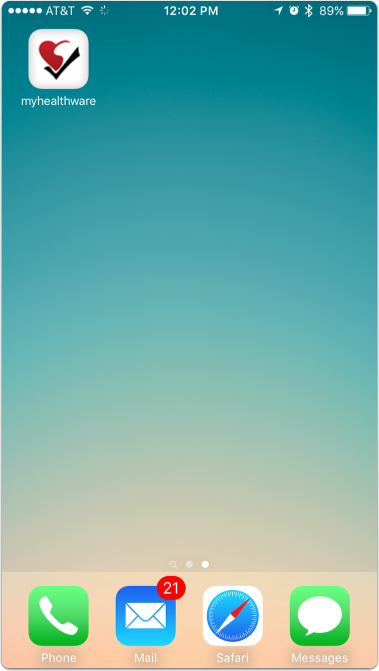 Upon log in, the myHEALTHware app will open to the Patient Main Menu. Acting As: Upon log in, you will be viewing the Main Menu as a Patient. 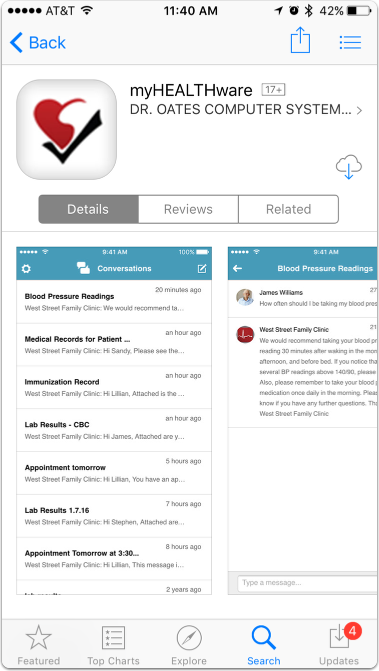 This gives you access to view personal conversations, drive files, your medical summaries, and myHEALTHware News articles. If you are a clinic staff member, you may want to switch your view to "Acting As a clinic staff member". To do this, tap on "Acting As", then using the drop-down menu, choose the appropriate clinic. Click Apply to return to the Clinic Man Menu view. For further instructions, please see: Settings. Conversations: Tapping on Conversations will open your personal or clinic Conversations inbox. This will allow you to view and respond to messages that have been received to your inbox. Drive: Tapping on Drive will open your personal or clinic Drive folders and Contacts. 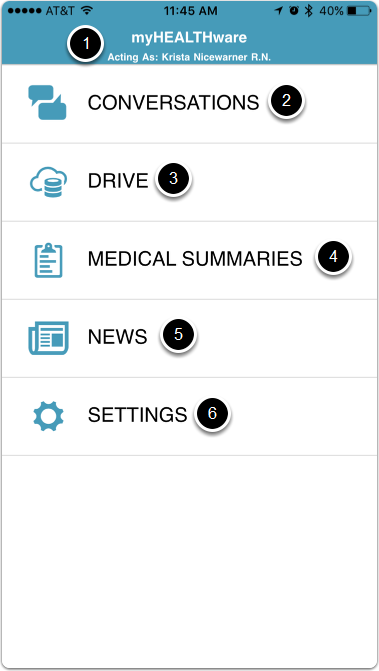 Medical Summaries: The Medical Summaries view is only visible for patients on the Patient Main Menu. Tapping on Medical Summaries will allow the patient to view all Medical Summaries that have been uploaded to their myHEALTHware account. News: Tapping on News will open the myHEALTHware News website. Settings: Setting allows the clinic user to change who they are currently "acting as". In addtion, you can change your PIN number or log out of the myHEALTHware application. 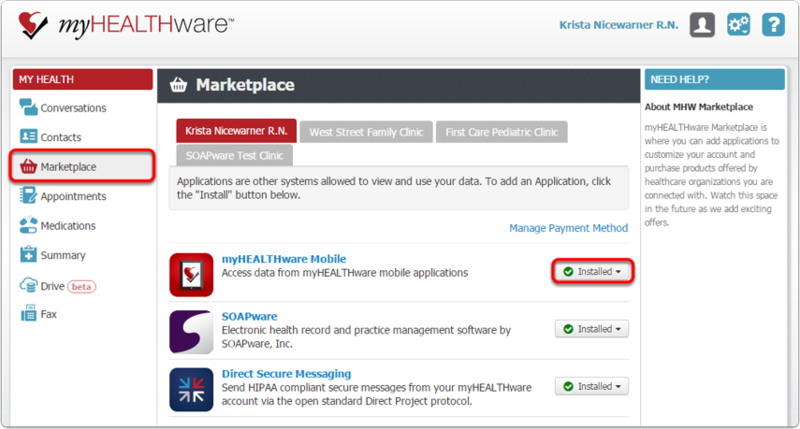 Once the app has been installed, your myHEALTHware account will automatically recognize the app in your myHEALTHware Marketplace and will show as "Installed". The app will be synced with your myHEALTHware account.